Brigade Group successfully launched its second mall – Orion East Mall in March 2016. Orion East Mall is located in vibrant catchment area on Banaswadi Main Road. Orion East Mall has a smart portfolio of International and Indian brands across fashion, lifestyle, food and entertainment. Within a month of its launch, Orion East Mall has already clinched the Retail Property of the year award from Franchise India. Orion East Mall is all set to redefine the neighbourhood shopping mall experience in India. 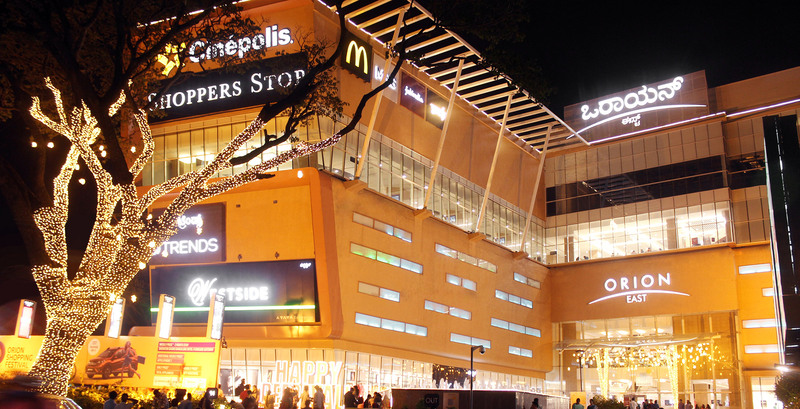 Main Anchor: Cinepolis, Shoppers Stop and Westside Other Brands: Apple, Adidas, Puma, Celio, Jack & Jones, Vero Moda, Skechers, Arrow, U.S. Polo Assn., Mothercare, Soch, AND, Globaldesi, Sunglass Hut, The Body Shop, Mc Donald’s and many more. Catchment Areas: The only mall in the 7 Km radius serving the upmarket localities of Frazer Town, Benson Town, HRBR Layout, Kammanahalli and prime residential areas.